Maybe they are your younger brother’s gang. Maybe they are the guys you hung out with in high school before you had your growth spurt and went off to college. Regardless of how you know them, chances are you can name a group of guys who live their lives like perpetual middle-schoolers, hanging out with each other but rarely dating and never really establishing long-term romantic relationships. A new study by evolutionary biologists from the University of Virginia’s College of Arts & Sciences takes a closer look at these males who live on the fringes of the social world in order to determine how social interactions shape and are shaped by natural selection. Like many other insects, forked fungus beetles live in complex societies. 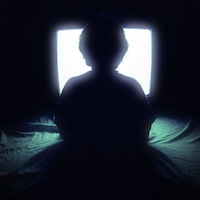 While most of them live highly engaged social lives, a surprising minority have a lot in common with the former members of your old garage band. You know; the ones who are always trying to get you to ditch the wife and kids and come hang out like you used to back in the good old days. These beetles spend most of their time in small groups composed solely of males. The biologists, led by Vince Formica and Butch Broody, could not help noticing what your wife remarked on from day one: The males in these groups were less likely to have encounters with females that lead to mating and reproduction. Formica and Brodie are interested in what happens in beetle societies because social interactions are inextricably intertwined with natural selection, which is Darwin’s term for the natural process that occurs when members of a species possess characteristics that help them survive and pass those beneficial characteristics on to their offspring. The flip side of the evolutionary coin is that characteristics that tend to get members of a species killed at an early age or that make them less likely to mate often die along with the childless individuals who possess them. 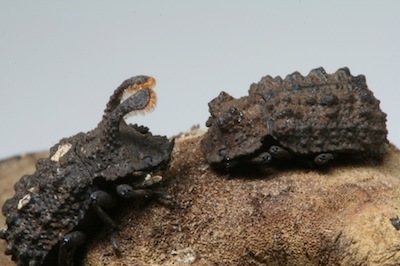 Formica and Brodie, both from the University of Virginia’s College of Arts & Sciences, conducted their research on the evolution of social behavior by studying the society-in-miniature that is the milieu of the forked fungus beetle. 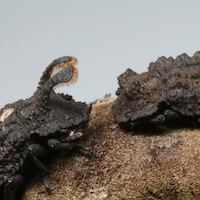 Specifically, their team wondered whether a beetle’s social role had any connection to its chances of producing offspring. The results of their investigation were published in the Journal of Evolutionary Biology. Forked fungus beetles were chosen as subjects because in addition to their rich social life, they were readily available for the researchers to study in the wild and they can easily be captured, tagged and observed. Once the beetles were tagged for easy tracking, the researchers were able to observe and map their social activities. The research team noticed that the beetles with the most active social lives had large social circles and had a lot of sexual encounters, leading to a lot of reproduction on their part. The males with small social circles made up of just a few males rarely had social encounters with females and had little opportunity to pass their genes on to a new generation.